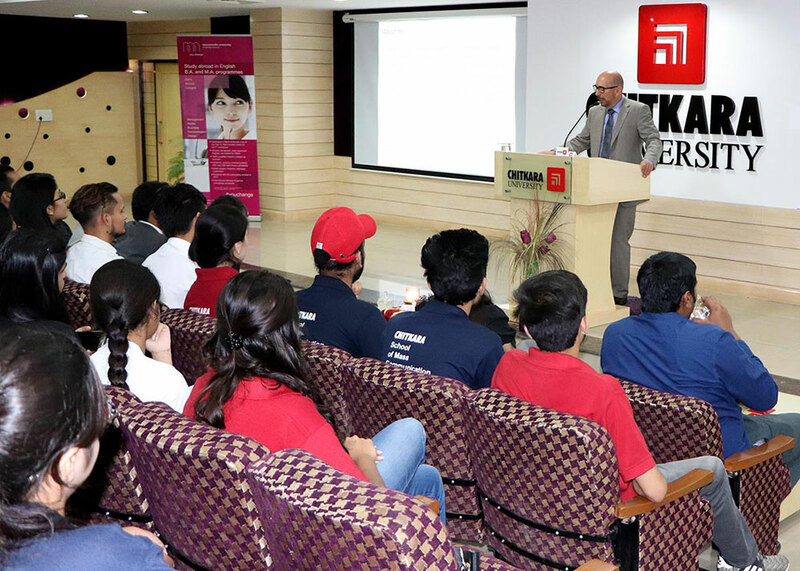 The students of Chitkara School of Mass communication had the privilege to meet Dr. Castulus Kolo, Dean and Vice President of Macromedia University, Germany. Dr. Kolo had an interactive session with the students on issues like Media development, challenges in Media industry and role of social media in advertising. He stated that from the beginning, social media has had an important impact on all of us. Social media started out as a method for people to either connect or reconnect with each other. At this point, social media has become much more. While interacting with the students, Dr. Kolo added that the media revolution is inevitable. With the pace at which technology is changing, it is just a matter of time before people would start to get involved, get passionate and drive the success of the innovative and exciting tool that is social media. Also, the fact that it started out with people using it for personal reasons did not in any way dilute social media’s strength. He answered the questions put across to him wisely and his experience as a communication expert was evident.